and how to fix calling issues. 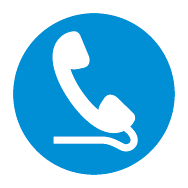 The Bluesky landline refers to a fixed line phone service, for either your home or business. The most basic of landline services include local, national and international calling. These services are offered to 3 islands, namely Rarotonga, Aitutaki, Mangaia, Atiu, Mauke, Palmerston and Mitiaro, in the Southern Group and Penrhyn, Pukapuka, Rakahanga, Nassau and Manihiki in the Northern Group. All of these islands have a single local telephone exchange, except for Penryhn which has two, one on each of the major islets of Omoka and Tetautua, and 2 temporary exchanges on Manihiki in Tukao and Tauhunu. All exchanges except for Tetautua, Tauhunu, Rakahanga and Mitiaro are gateway exchanges. This means they provide national and international telephones services. Mitiaro uses the Atiu gateway, Tetautua uses the Omoka gateway and Rakahanga and Tauhunu uses Tukao's gateway. National and international services are via Intelsat 174 satellite. See how you can apply for a landline account. Before we can set up your landline account, you will need to check you have the following hardware requirements; a handset and a landline connection. See how you can get a landline connection set up today.